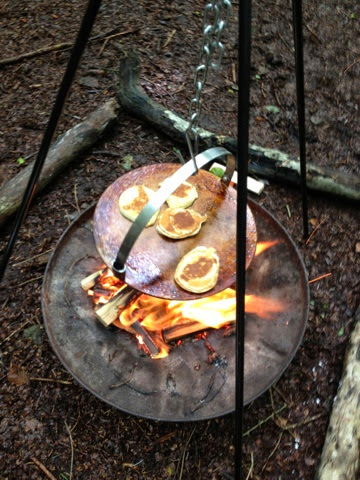 Outdoor Cooking in the Woods. Forest School & Blaeberry Bash. 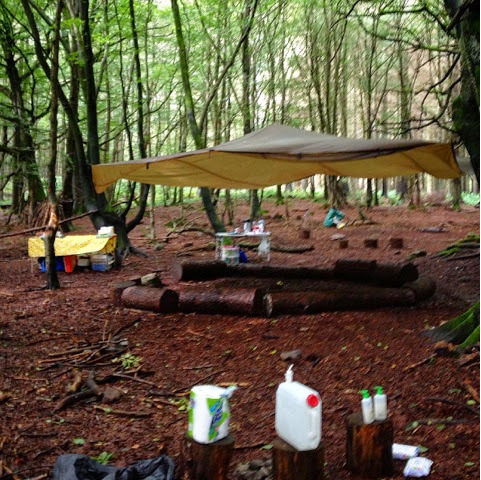 I've been out and about in the woods this summer helping out at Kincardine Forest School and with 160 big and little kids over 4 sessions of the Mud Pies and Foodie Quine Blaeberry Bash. 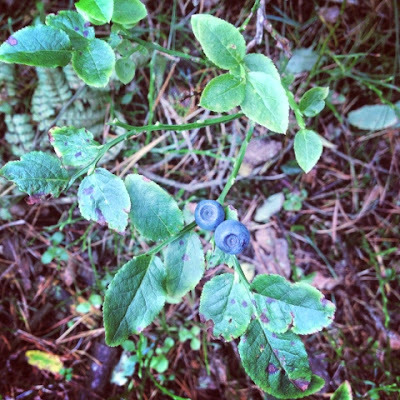 Nothing beats the fun of foraging, cooking and eating outdoors. 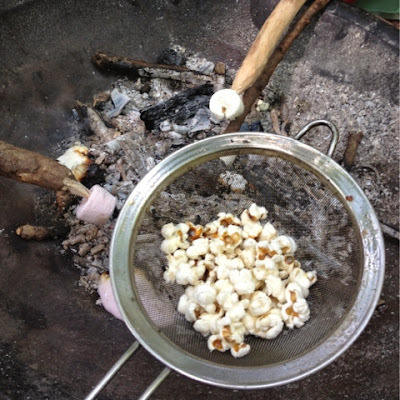 Popcorn over the campfire was a big hit with the Forest School participants. 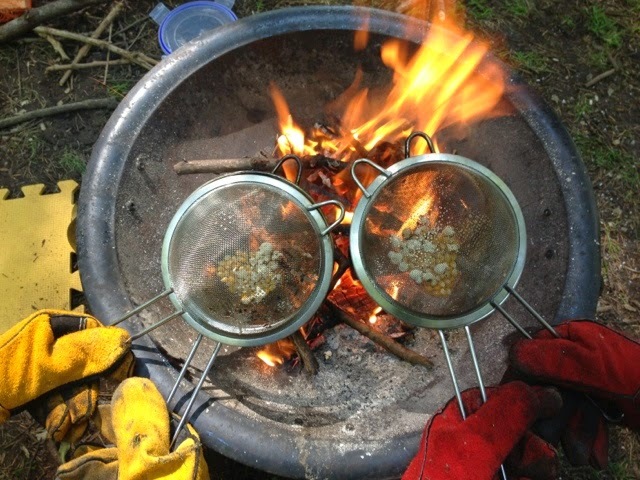 Fire gloves are essential to hold on tightly to a couple of metal sieves which make the perfect cage to contain the popcorn. Spray them liberally with oil before adding a small handful of popcorn kernels. 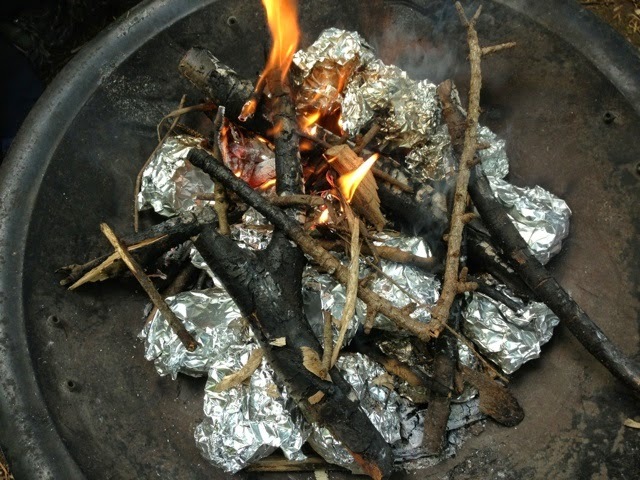 It will take a wee while and a bit of patience over the campfire but once the popping starts it all happens very quickly. 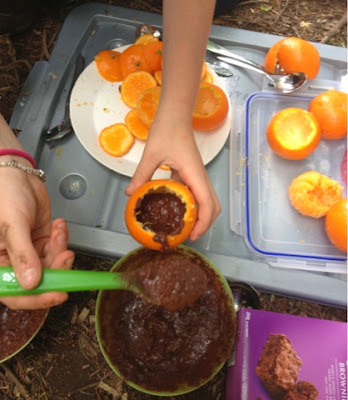 Next to hit the fire bowl were Chocolate Brownie Oranges. These are very simple and taste amazing. 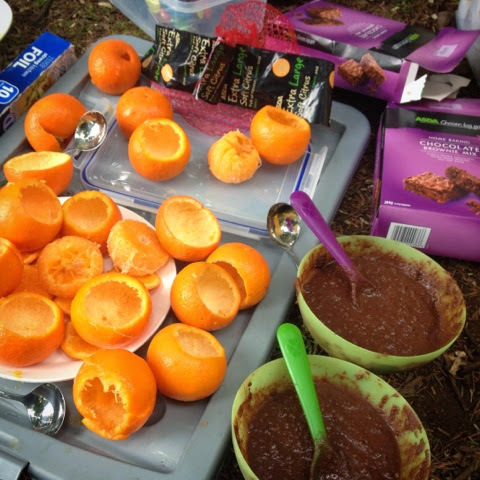 Cut the lid off the oranges and scoop out the flesh. 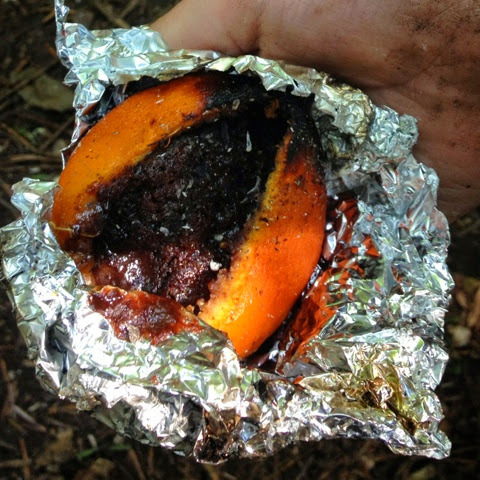 Make up a pack of Chocolate Brownie mix and spoon it into the cavity to no more than 2/3 full.. Wrap in tinfoil and carefully place in the fire. 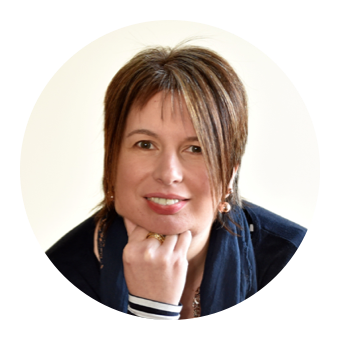 Ideally you want to have them nestled right in so there is heat both above and below. The time taken to cook is somewhat imprecise but around 20 minutes should do it. 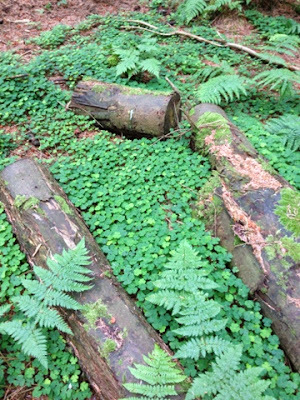 Occasionally check to see how they are doing and move those from the edge to the middle and vice versa. The end product is a squidgy, gooey, chocolately delight with a hint or orange and smoke. 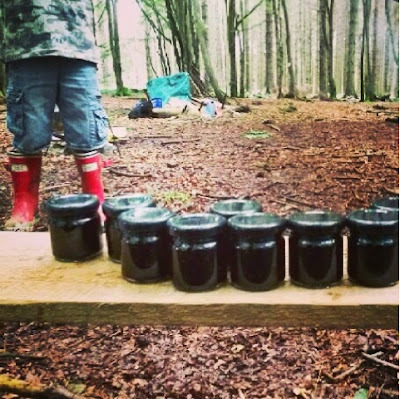 Our four Blaeberry Bashes completely sold out and we were joined at Countesswells Woods by an intrepid bunch of big and little adventurers all kitted out for a couple of hours of foraging and food fun. Bertha did her best to stop our second day but it takes more than a hurricane to put us off. 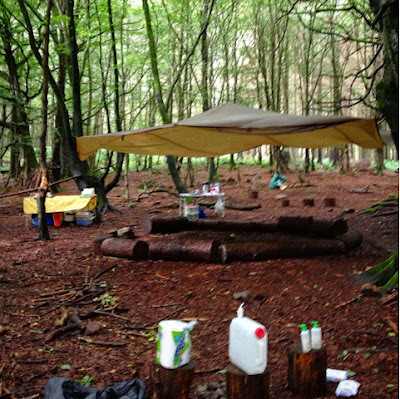 With our base camp established it was time to head for the woods and seek out the berries. Blaeberries (Billberries) can be elusive wee things at first but once you started to spot them and get down to their level they were everywhere. They are however tiny and it takes a long time to time to get any amount. Wild rasps were much easier and we even found some yellow ones. On our way back to camp we stopped to nibble from a veritable carpet of Wood Sorrel. A mixture of thumbs up and thumbs down for its sour taste. Some liken it to lemon but for me its a very distinct apple peel flavour hit. 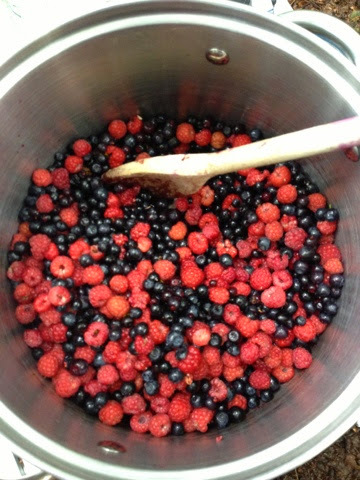 Our berry haul of wild rasps and blaeberries was pooled and decanted from bags and tubs into a communal jam pan. We boiled it up with sugar and amazing smells and colour ensued. 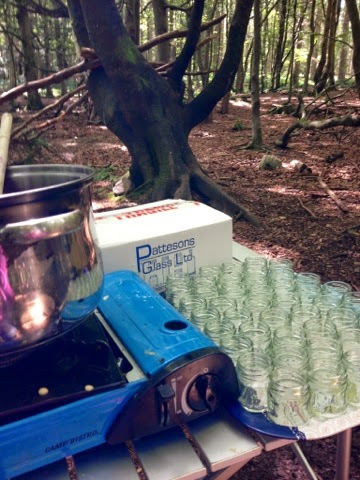 Grateful thanks go to World Jampionships sponsors Pattesons Glass who provided us with mini jars for our outdoor jammy adventures. 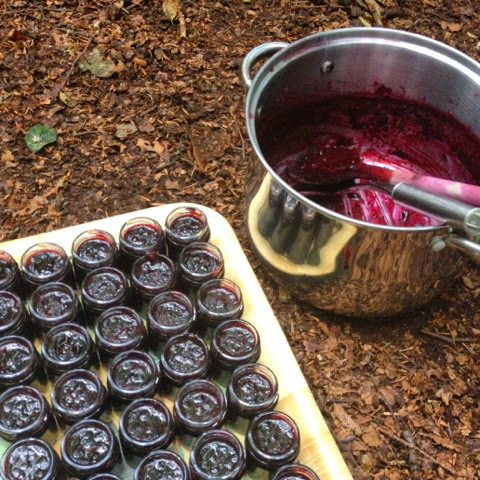 Our wildberry preserve was hailed a huge success. Anyone who thought that the jam making was a sticky business ain't seen nothing yet. 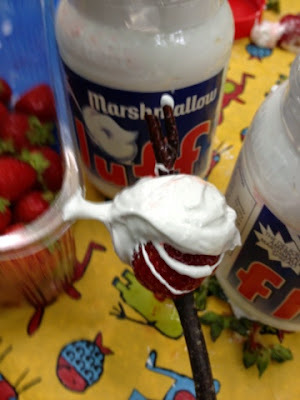 Bring on Toasted Marshmallow Fluff Strawberries. Definitely one of your five a day. Marshmallow Fluff is an American invention that's now widely available in UK supermarkets. 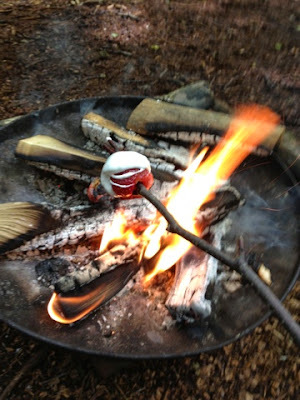 Pop a large strawberry on the end of a carefully selected cooking stick, spread with fluff and toast over the campfire. Your life is now complete. We had a brilliant morning, my daughter hasn't stopped talking about her adventures. 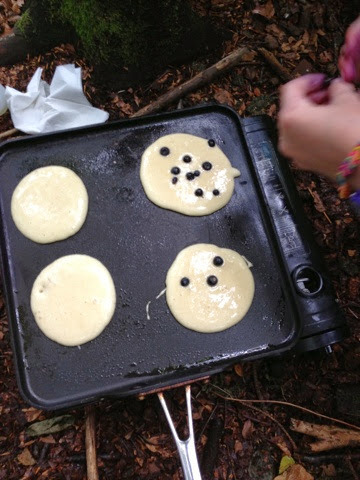 Just a note to say how much we enjoyed this morning’s Blaeberry Bash. 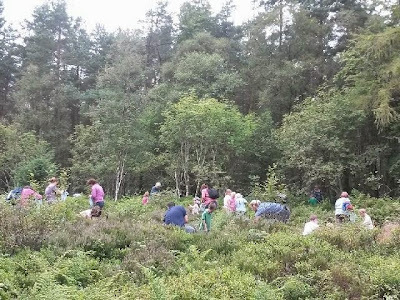 We all had a great time, and thought it was a fantastic event. 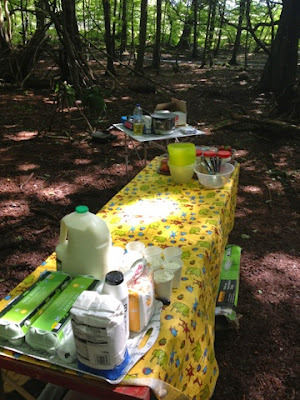 I hope we’ll be able to come to another Mud Pies/Foodie Quine event some time soon.